Welcome back to Day 3 of our 12 days of Christmas! 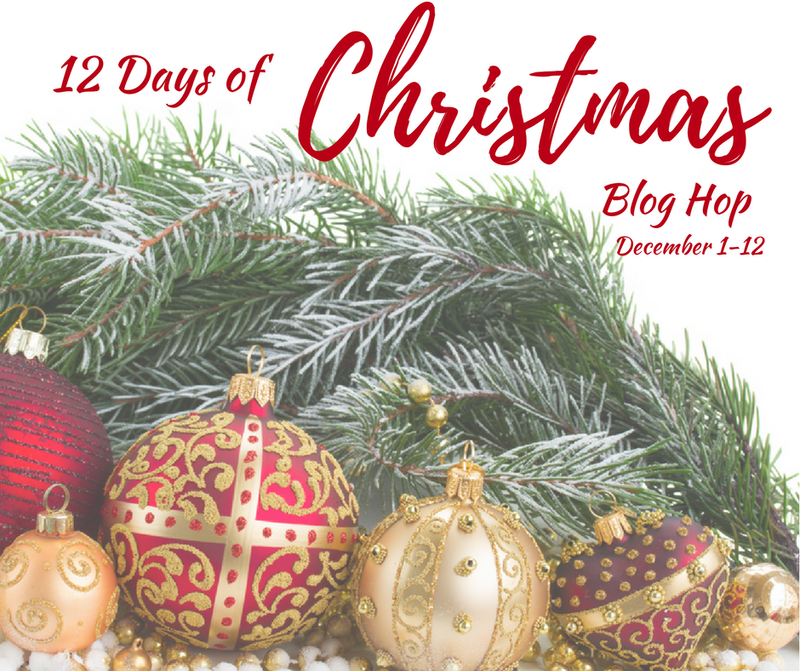 The 1st day of our blog hop was fantastic. If you missed it click here. Everyone who knows me know I love snowmen. I try to change out the snowmen for more adult looking ornaments, but who doesn't love those lovable snowmen. I created this darling snowman snow globes and it's a big hit with my girl. They also makes great stocking stuffers. These snow globes will only take you ten minutes to make. It's that easy and inexpensive. 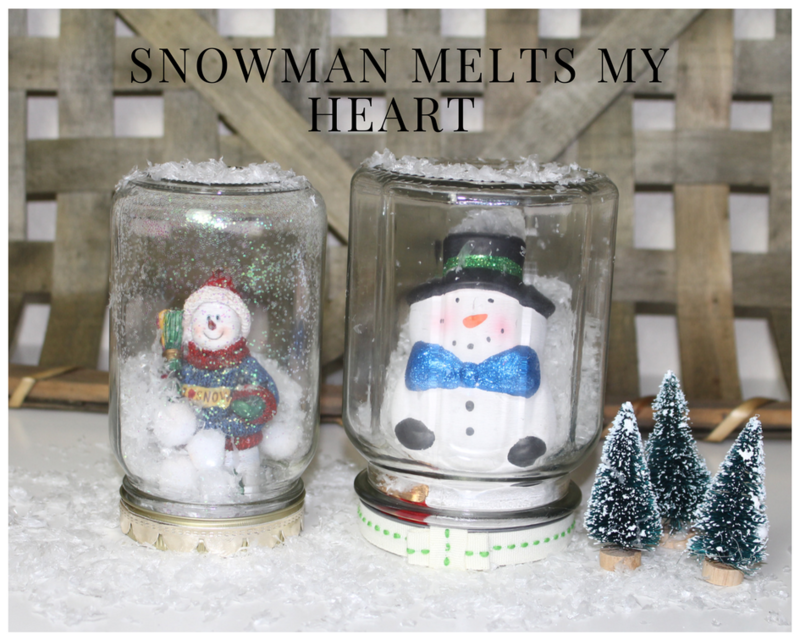 You can also personalize these snow globes for the person you are going to give this too. 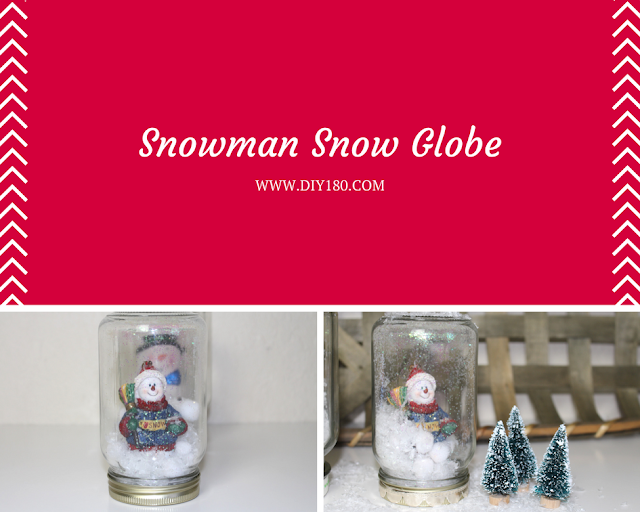 The snow globe I am creating is for my girl, who loves snowman just as much as me. Into the jar I added snow flurries, pom poms and glitter and gave it a good shake. Next I hot glued the snowman to the lid. Screw on the lid to the jar and I added a gold ribbon around the lid. That is all to it! I found the gold ribbon disguises the ugliness of the lid. Here is a before and after. 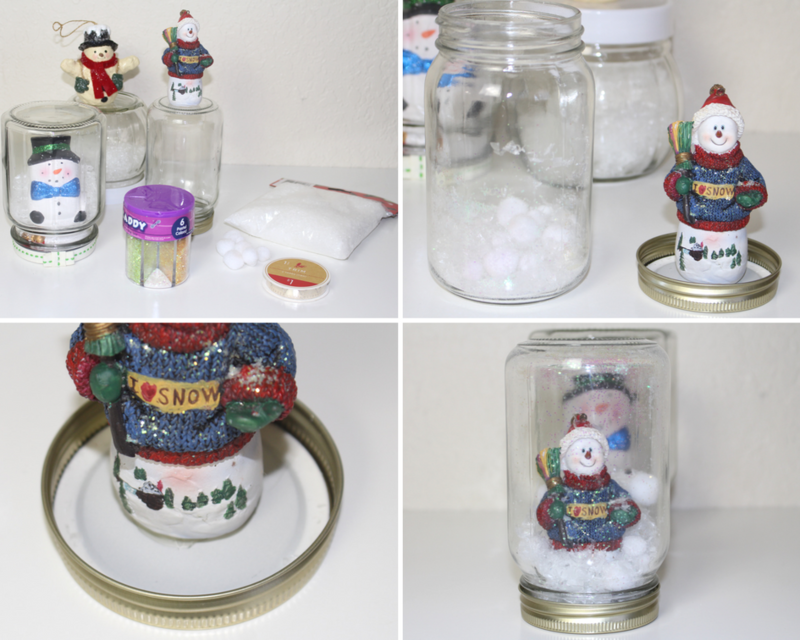 I found this charming hexagon jar and it looks sweet with the bigger snowman. Thank you for stopping by and make sure to come back for day 4 tomorrow. Your snow globes are so fun. What a great decor idea. Pinning. Your snow globes are adorable! I love snowmen and these globes will be so much fun to make. 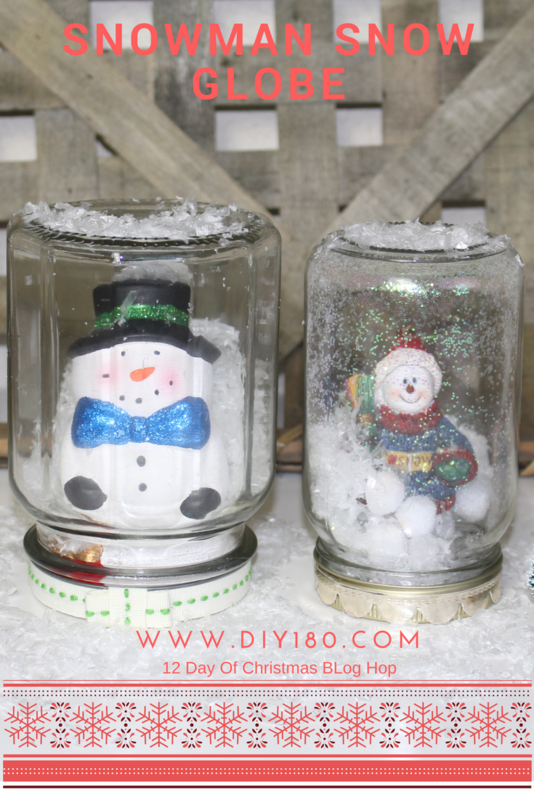 What a great way to use jars, snowmen and snow globes just go together! These are lovely. I was surprised how the snow stuck to the glass its looks great. 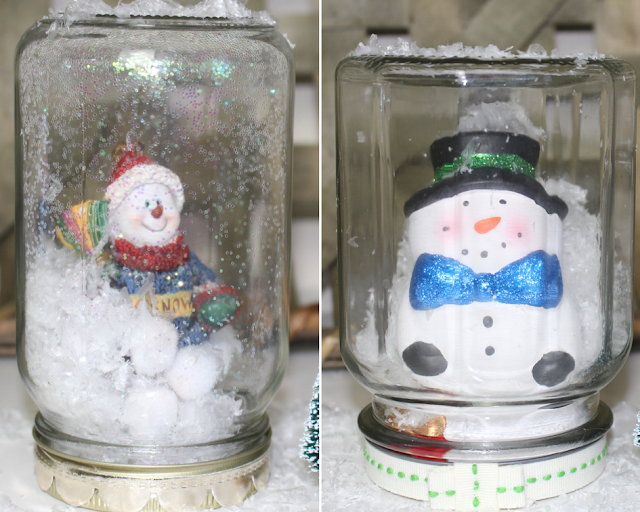 Your snow globes are so cute!